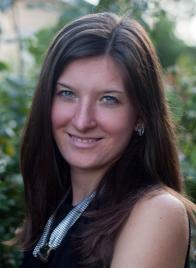 Mariia Moiseieva works at Radio Free Europe in the Marketing & Affiliates Department as the Affiliate Relations Coordinator. She gained her BA and MSc in International Management at Prague College. Originally from Ukraine, Mariia completed her high school education at “ORT-Aleph” in Zaporizhia. "I chose Prague College because it offered English-language education in the heart of Europe, as well as the internationally-recognized diploma awarded by Teesside University," she tells us. "The professionalism and guidance of lecturers plus the friendly and comfortable atmosphere at the college helped me to understand the niche I was particularly interested in: marketing, audience research and strategy. The programme allowed me to gain knowledge which I can apply and further develop in my professional career." "My favourite memory was during my Master’s programme - every day after finishing work at 5:30 pm I had to run to Prague College for evening classes until 9pm and then spent another 4-5 hours on assignments and dissertation at home. That work-and-study flow was an incredible experience, and a great experience of self-organization, time management and being tired 24/7! It taught me a lot." "As far as the future is concerned, I want to enjoy it and have fun."